I needed a tall carbon fiber tripod and head to support 12-14kg. I chose this tripod over its more expensive competitors due to its affordability. I cannot give an expert review as I haven't used many of the expensive heads and legs. My initial thoughts are that the legs are a little sticky (need breaking in) and the bubble doesn't illuminate but for the money its a great tripod. I foresee the head lasting a long time, but not too sure about the leg locking mechanism. 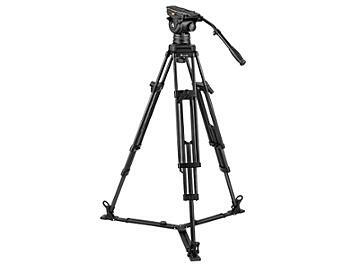 this tripod is excellent and just what i was looking for. I was a long time used to the trop on camera plate, which is great. On this tripod it is a slide in plate, so i have to get use to this system. This tripod is doing an excellent job. Nothing to complain. Nice quality! E-Image, please keep it this way.